It Is In A Spirit Of Candid Modesty That I Inform Those Of You My Guests About RCE's And My Most Recent Attainment, Being It A Place On The VIP Blogger List At The Corvisiero Literary Agency Of New York City. 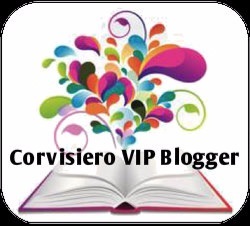 Reviews by Cat Ellington (RCE) Was Personally Contacted By The Corvisiero Agency Offering The Literature Blog A Spot On Its Reputable List Of VIP Bloggers, And I, As The Founder Of RCE, Kindly Accepted It. On Behalf Of Reviews by Cat Ellington, I Would Like To Say Thank You To Everyone At The Corvisiero Agency, Especially You Samantha, For Your Consideration; For I Am Wholly Honored. Continue To Be Blessed With Great Literary Success. My Beloved Men And Women, Take A Load Off This Friday And Enjoy Yourselves. Kick Back . . . Relax . . . Crack A Beer . . . And Hold Down Your Own Near And Dear.